Looking for the Best Microdermabrasion Treatment in Blackburn? Do you hate seeing your laugh lines in every picture taken of you? Are you tired of your skin always looking dull and lifeless even though you spend hundreds on expensive creams claiming to help revitalise your face? Are you just seeking to give your face a fresh start? If signs of ageing are plaguing you and affecting the way you view yourself, you might want to consider a professional service that can help restore and replenish your skin. 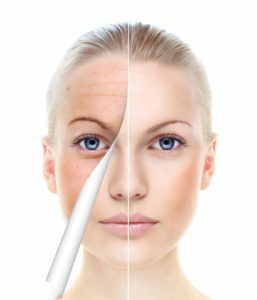 One of the best services for diminishing signs of ageing in the face is a microdermabrasion treatment near Blackburn. This service will remove the dull layer of skin that’s haunting you, allowing the younger, brighter layers underneath to emerge. Curious about the best microdermabrasion treatment in Blackburn? Talk to Lose It With Laser. Lose it With Laser is a professional laser hair removal and skin treatment facility. We’re FDA approved and have years of experience helping men and women suffering from skin ailments or unwanted hair. Our professional services, like microdermabrasion, can contribute to instantly improve your skin’s natural glow, by removing ageing, dry, dull skin. This popular service is an excellent way to improve and enhance your appearance instantly. To schedule your first microdermabrasion appointment or to find out more of any of our highly-regarded services, give us a call at 0432 162 862. We’ll also be happy to answer any questions you might have.